The hostel is located opposite the old city park named after Ivan Franko, next to the oldest in Eastern Europe and Ukraine, Ivan Franko University, close to the most outstanding places of the city. The world famous Ukrainian opera singer Salomia Krushelnytska lived here. Nearby there are lots of cafes, restaurants, theaters nearby. 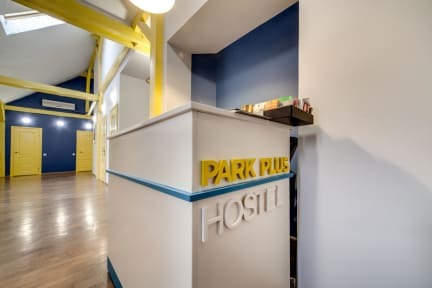 Park Plus Hostel offers 8 comfortable rooms for 32 guests in general. All rooms are equipped with orthopedic mattresses, tables, chairs, individual lockers with a lock, shelf-mounted clothes hanger. Free Wi-Fi is available.